Just when you thought that your best looting days may have finally been over, Blizzard jumps back into the fray and prepares to unleash a whole new Diablo III patch that typically adds a ton of new stuff to the game. In fact, the upcoming update is so big that it's practically what you'd expect from a slice of downloadable content, or even an expansion of some sort. So, what's in patch 2.4.0? Well, the headline act here is a whole new location known as Greyhollow Island. The fresh setting won't feature any additional story content, however. Instead, it's designed to slot seamlessly into the title's post-game adventure mode, which is made up of randomised bounty missions among other activities. In other words, Greyhollow Island should offer an almost endless supply of further adventuring opportunities. What's more, it'll supposedly play host to a 'secret' that you'll have to discover for yourself. Intriguing. That's not all you're getting, though. The update will also introduce loads of new legendary items, and will allow you to challenge specialised dungeons which put specific sets of armour to the test. The patch is due to release at some point before the 15th January, so shouldn't have too long to wait. Take a look at the teaser for Greyhollow Island that we've embedded, and then let us know if you'll be tearing through a few more demons in the comments section below. Diablo 3 is a game that keeps on giving. Game was meant for consoles - much better than the PC version IMO. Any other dev with a hot property like Diablo would have moved on to the next entry in the franchise long ago. I'm sure they ARE working on Diablo IV by now, but they're obviously still supporting this game, and that's incredible. Great, have not played in a while but I've sunk hours and hours into this in the past. Will be playing again for sure. @glassmusic I highly doubt they will have a Diablo IV. The way Blizzard operates now is expansions on an exciting product. Besides if people had to start all over in Diablo IV, their would be alot of mad people. @themcnoisy You regretting trading in Diablo 3 now? 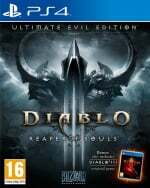 @Tasuki I think they will do Diablo 4 if and when they switch to a new engine. Incredible how much awesome free content they give away in this game, they just keep on giving. I hope they do a Diablo 4 for consoles eventually. Cool, I'll have to get back into Diablo 3 but I'm addicted to Divinity at the mo. @kyleforrester87 Perhaps but look how long they have kept WoW going with expansions. @Tasuki Yeah, slightly different with MMORPGs as they can't really afford to split the player base by bringing out an expansion running a different engine that's uncomfortable with the former in a world which relies on everybody playing together, but I see what you mean. It's it only the ps4 version or is the ps3 getting it too? @hYdeks It will be PS4 only, they announced a long while ago that further updates wouldn't be coming to the last gen versions and the PS4 version has had plenty added since then. @themcnoisy Funnily enough, me and a friend tried Gauntlet for about 20 minutes before agreeing that we'd rather just play Diablo. @kyleforrester87 I think also now it's just easier for Blizzard to release expansions considering how many properties they have Goin right now. I am not a game developer, but I would think it would take less time and money releasing expansions since they have the ground work in place already rather then starting from scratch. I know with Blizzard they want to get quality games out their players quickly and expansions seem to let them do that. Also with expansions to an already existing game people are more likely to buy it yearly instead of a new game. God only knows we don't need Blizzard going the Assassin's Creed route and releasing a new Diablo every year. I can't imagine starting from scratch every year. @arnoldlayne83 I never played Dark Souls so I can't agree or disagree with you on that one. @ShogunRok You're not alone there, my son and I thought the same thing. Was Paragon 263 on the PC and playing from day one with over 1000 hours in it. Since RoS I only play on the console and have reached now Plvl 500. Never going back to PC. PS4 and XBO are easy to update because the systems looks like a PC. For the PS3 and 360 its to much work. And I am wondering if these systems even can handle all those big updates. Can users playing local multiplayer access their full menu inventory yet on consoles? This is the only reason my brothers and I haven't continued playing the game. Having to take a 20 minute pause where you can't do anything while someone sorts out their loot, is ridiculous. It should be simultaneous. If Dungeon Hunter can do it, than surely Diablo should be able to do it too. Agreed! I enjoyed D2 better as well. But a lot of that has to do with artistic tone. D3 felt less like a gritty pencilled art work, and instead has a very much Torchlight feel. Not a bad game. Just a personal aesthetic preference. D2 feels unforgiving in that way much like D1. D3 isn't as unforgiving. I have to agree. I've played alot of action RPG's on PC but when Diablo III came out on PS3 and I picked up my controller, never looked back. Same here! I remember jokingly saying to my brother, with whom I played Diablo3 on the PC, how it would never work. After playing 2 minutes of the PS3 demo, just to prove myself how right I was as usual, I immediately called him and said: "holy F, better preorder D3 on the PS3, cause you're never gonna see me playing on PC ever again", and I never did. This generation for me didn't start till D3 came to the PS4 because it was the first game that showed why I bothered to buy one. The game has given me so much joy and every time I think I'm done with it they bring a new update and I fall in love with it all over again. I can't think of a game that's been so kind to gamers as Diablo has been. 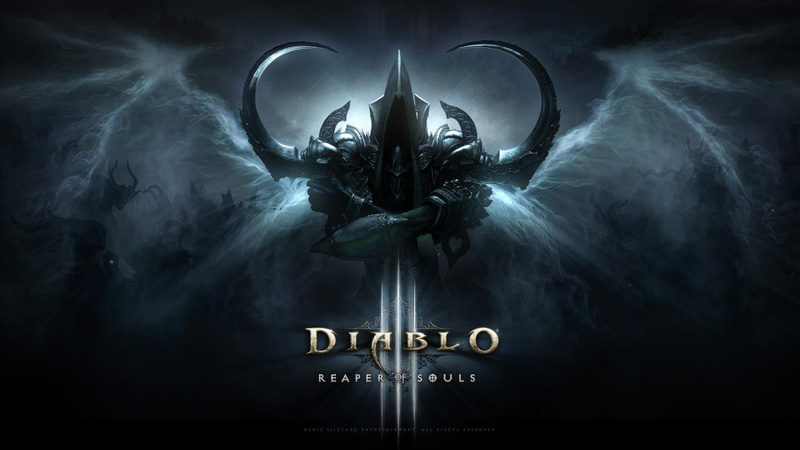 Diablo is the type of game I play to unwind; the controls are really easy and intuitive and while playing Diablo I can chat with the missus, chat online with my brother or listen to podcasts. Hours fly by while I'm hacking away and afterwards you always feel good... except for that one time I lost my HC character because I figured I could drink coffee while playing on Torment V... Damn arcane magic. @Mega-Gazz Agreed. Played the PC version since launch and after I bought UEE for PS4 it is hard to go back.